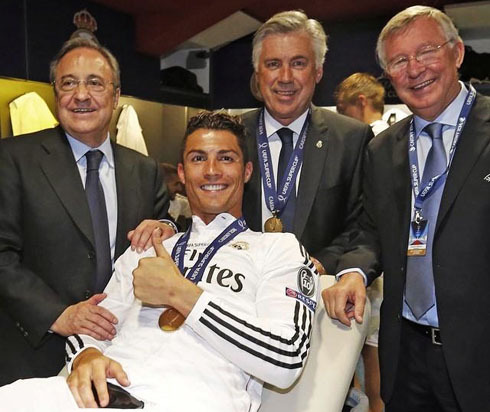 ﻿ Alex Ferguson: "Ronaldo could play for any other team and still score hat-tricks"
25.04.2015 » SAF: "Ronaldo could play for any other team and still score hat-tricks"
Sir Alex Ferguson has recently spoken about the rivalry between Cristiano Ronaldo and Lionel Messi in modern football and had no hesitation in affirming that the Portuguese forward is a more versatile player than the Argentinian star. Any debate primarily focused on drawing comparisons between Cristiano Ronaldo and Lionel Messi may sound a bit too repetitive at this time of the year. However and when it's Sir Alex Ferguson the person who's commenting on the issue, the subject gains a whole new level of interest. 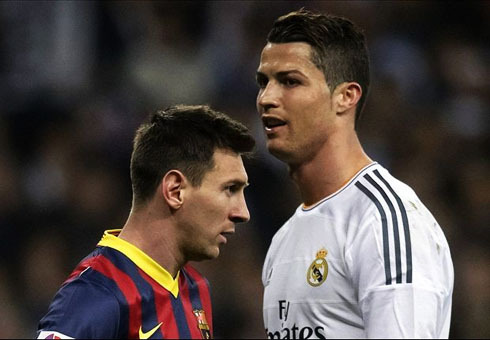 In a talk with John Parott at the 2015 Snooker World Championship, the former Manchester United manager explained why he would still pick Ronaldo over Messi when it's a matter of deciding who the best player in the world is. The very experienced former football manager justified his choice by pointing out CR7's versatility, as well as his ability to prove what he's worth no matter where he's playing at. 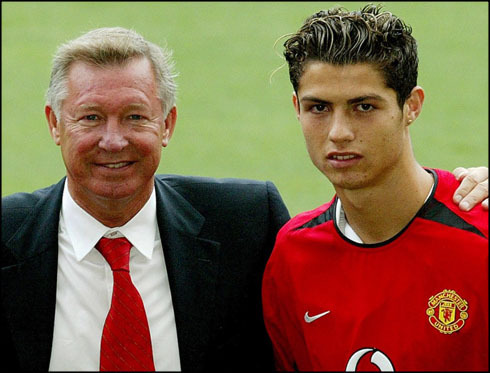 Cristiano Ronaldo got transferred to Manchester United back in the summer of 2003 and ever since he landed in England, he was fortunate enough to have in Sir Alex Ferguson a true father figure. The Scot knew from the first day he met Ronaldo that he had a very special player in front of him, who needed to be protected and shielded not only from his opponents on the field, but also from the very aggressive media in England. 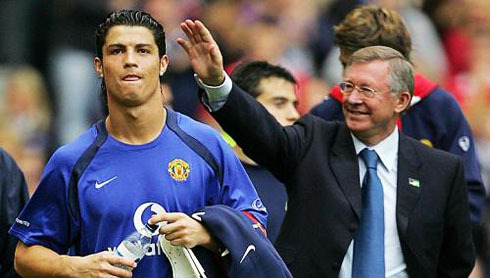 Sir Alex Ferguson: "Ronaldo is very tough. Whenever people comment on who is the best player in the world and claim that is Messi, we can't really dispute it. However and the thing about Ronaldo is that he could play for anyone out there like Milwall, QPR or Doncaster Rovers and he would still be able of scoring a hat-trick. I honestly don't know if Messi could do the same...", stated the 73-year old former manager, when comparing both Real Madrid and Barcelona aces. The Portuguese superstar has already scored a total of 24 hat-tricks in the Spanish League, with his latest one coming from a personal 5-goal showdown against Granada on April 5 of 2015. But what exactly gives Ronaldo the edge over such an impressive player like Lionel Messi? Where has Ronaldo really excelled over the past few years that he spent both in England and Spain? Sir Alex Ferguson: "Cristiano Ronaldo has two great feet, he's very quick, great in the air and he's brave. I'm not saying that Messi isn't a brave player, but I just think he's more of a Barcelona player rather than anything else...", stated the former Manchester United boss, when alluding to the fact that Messi never tried to leave the comfort zone that he found in Barcelona and that he has always benefited a lot from the team's playing style where he's at. 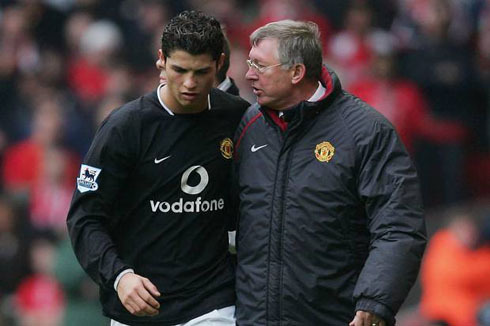 Sir Alex Ferguson: "I would have to say that Ronaldo is the player who improved the most under my command. He came to Manchester United as a very skinny kid at the age of 17 and he got to where he is today. His decision-making process was one of the key things he managed to improve in Manchester and I'm proud to say that together with Paul Scholes and Ryan Giggs, they were the best three players I have ever coached in my career." Cristiano Ronaldo next game will be for the Spanish League against Celta Vigo, on the 26th of April of 2015. You can watch Juventus live stream, Celta Vigo vs Real Madrid, Barcelona vs Getafe, Everton vs Manchester United, Arsenal vs Chelsea, and Benfica vs Porto, all matches provided from our free soccer streaming game pages.